HARRISBURG, PA – Pennsylvania hunters had one of their safest years on record in 2016. 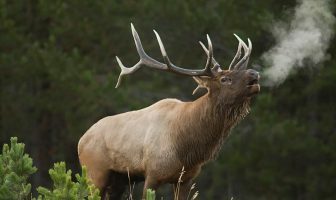 The number of hunting related shooting incidents statewide was the second-lowest ever, and for only the second time on record, a year passed without a single fatality related to gun handling while hunting or trapping in Pennsylvania, according to a newly released report from the Pennsylvania Game Commission. There were 25 hunting-related shooting incidents statewide during 2016. Only 2015 had a lower number of incidents with 23. And the only other year without a hunting-related fatality in Pennsylvania was 2012. The trend of increasingly safer hunting is something of which Pennsylvania’s hunters – and the Game Commission’s team of volunteer instructors – can be proud, said Game Commission Executive Director Bryan Burhans. Decades ago, hundreds of incidents occurred annually, year after year in Pennsylvania. Pennsylvania has compiled data on hunting-related shooting incidents (HRSIs) since 1915. HRSIs in Pennsylvania have declined nearly 80 percent since hunter-education training began in 1959. Prior to 2013, there never had been fewer than 33 incidents reported in a year, and 2016 marks the fourth straight year in which fewer than 30 incidents were reported. In 2016, nine of the 25 incidents with an identified offender resulted from individuals with 10 or fewer years of hunting experience. One incident involved a youth participating in the Mentored Youth Hunting Program, though it’s important to note the youth and his mentor were in violation of the rules of the program when the incident occurred. 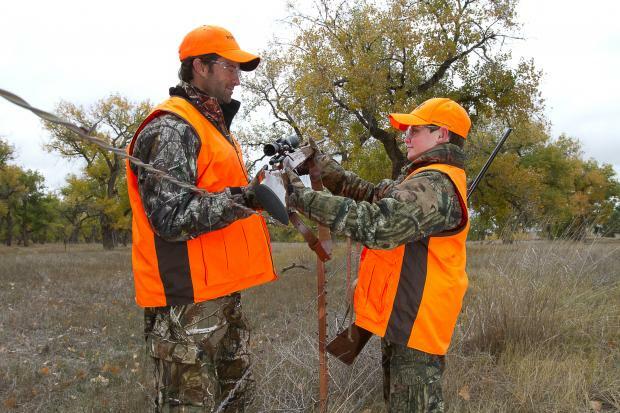 The Mentored Youth Hunting Program, which enables hunters under the age of 12 to harvest certain wildlife species if they are accompanied by a licensed adult, continues to be safe. About 31,274 Mentored Youth Permits were issued during this timeframe. In its annual reports on HRSIs, the Game Commission establishes an incident rate by computing the number of accidents per 100,000 participants. The 2.73 incident rate reported for 2016 is higher than the 2015 rate of 2.46. The leading causes of hunting-related shooting incidents in 2016 were a victim being in the line of fire, which accounted for 44 percent of the total, followed by unintentional discharge, which accounted for 20 percent of the total. Incidents where the victim was shot in mistake for game remain at record-low levels. The use of fluorescent orange in many seasons and ongoing hunter-education efforts are essential to the upward trend in hunter safety, the report states. In 2016, 35,452 students received their Basic Hunter-Trapper Education certification in Pennsylvania. Those student graduates, their volunteer hunter-education instructors and the hunting public at large all can be proud of the role they have played in making hunting the safest it’s ever been, Burhans said. Game Commissioner Jim Daley, of Cranberry Township, a longtime hunter-education instructor who was recognized in 2009 as Pennsylvania’s Instructor of the Year, said the dedicated corps of 2,237 volunteer instructors plays a key role in improving hunter safety. He thanked those instructors, and the state’s hunters for continuing to play it safe. Chief Editor at Today's Hunter.